Nigeria's Vice President, Yemi Osinbajo has revealed the year in which the country will stop importing rice. TheCable reports that Vice-President Yemi Osinbajo says Nigeria will stop importing rice by next year, 2019. 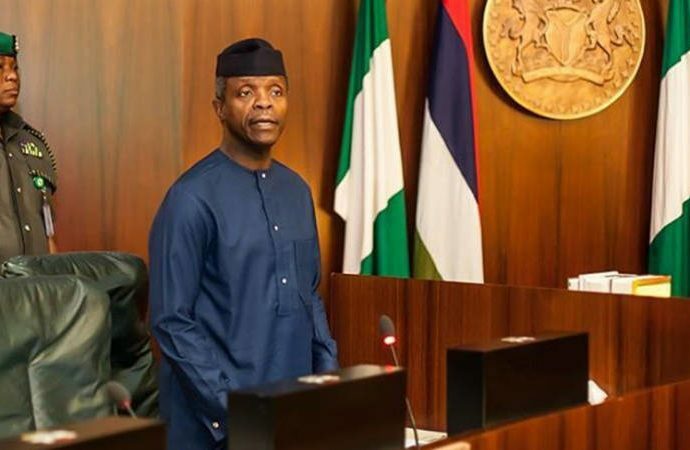 According to Laolu Akande, senior special assistant to the president on media and publicity, Osinbajo said this on Sunday at the palace of Musa Dogonkadai, the Seriki of the Hausa community in Agege, Lagos. He said leaders of those countries help their farmers to expand their farms so that they can earn money. “Look at what is happening in the north now because of the Anchor Borrowers Programme. We gave many of the farmers, over 760,000 farmers, soft loans. So, now they are producing rice, producing millet, producing sorghum,” Osinbajo said.